Happy 60th Anniversary Saint Mary’s College! St. Mary’s College celebrated their 60th anniversary yesterday with a parade on Beach Road that was led by the Police Band. The parade was divided into five groups of students; 1956-1977 (Orleans), 1978-1988 (Avila), 1989-1999 (Deporres), 2000-2012 (Aquinas) and current dressed students in their uniforms. At the end of the parade, Prime Minister Tuilaepa congratulated the school for reaching their 60th anniversary. “As we’ve come here today to celebrate together this great milestone of the school, your contributions have been borne of many of the brightest minds in this country. “St Mary’s students have never caused any fighting or other misbehavior but you have continued to stay spiritually strong. Tuilaepa thanked the school for their great contributions to the government. 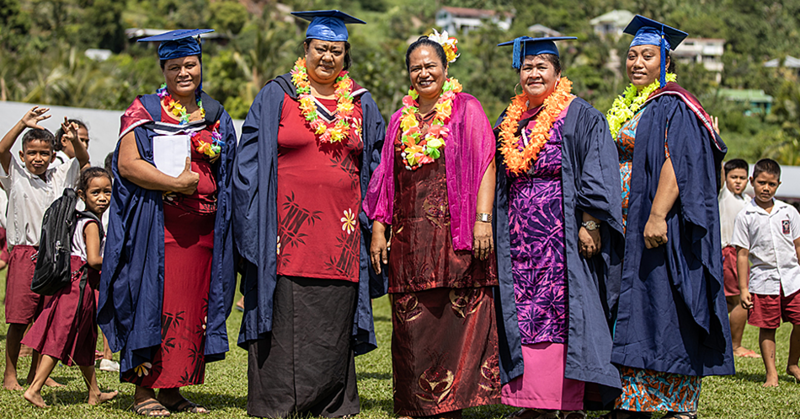 “Saint Mary’s School together with the Sisters provides a good education for those who’ve been educated in this school,” Tuilaepa said. “There have been countless good works witnessed, many pupils have secured good jobs, and as of today, former students are still carrying the good name of the school that educated them. “Remember that it’s not us, but to God the glory and praise. “Once again, Happy Anniversary! 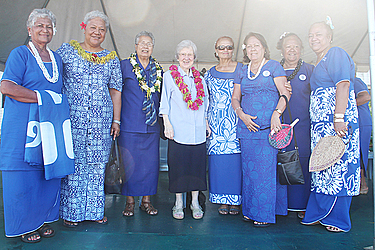 The president of Saint Mary’s Old Girls Association, Mata’ia Gaonotele Julia Schmidt thanked the past and presents students together with the Sisters for the ongoing success of the school. “I know that many of you have graduated from various universities with degrees and with numerous other accomplishments. “And serving our country from where you’re appointed to work, with is a great joy to our school.” “Not only that but we want to acknowledge the excellent work of all the Sisters for their time while teaching in the school. “We also want to thank the government for their continuous support in so many ways. “Thank you and congratulations for all the achievements,” she said. 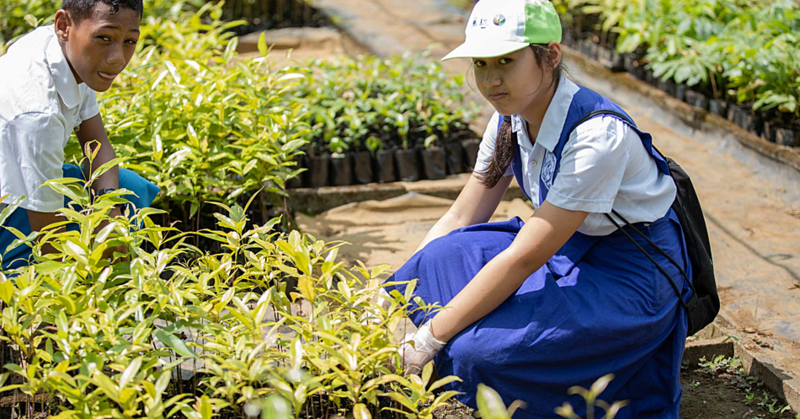 The government also promised a donation for the school’s 60th anniversary. The parade was followed by mass at the Cathedral of the Immaculate Conception at Mulivai. The celebration will continue with the school’s ball this evening at the Faleata Multipurpose Gym at six o’clock with the theme of ‘Glamorous’. St Mary School opened at Savalalo in 1956, and by 1958, they decided to shift the school to Vaimoso. In 1969, the first new school building was built and in the same year, Peace Corps volunteers started to teach at St Mary’s College. The first principal of the school at that time was Mrs. Emeritiano. 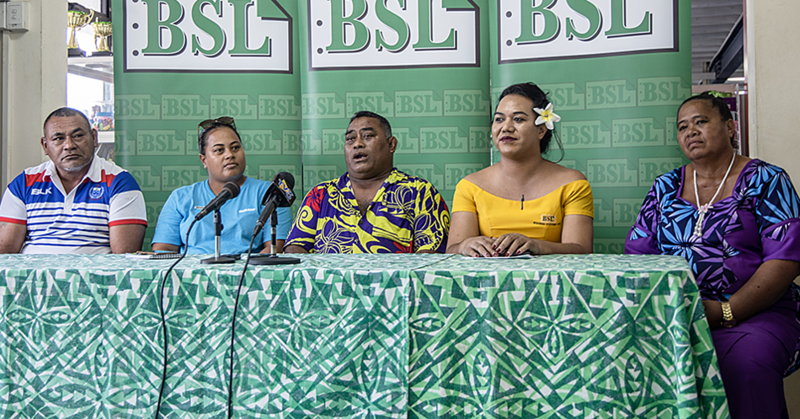 In 1980, the Parent Teachers Association was set up, and the late Tupua Tamasese Lealofi was the first Chairman while Tupua Tamasese Efi was the Vice Chairman of the committee.